139 Jewish day school leaders sign letter calling for action after Parkland shooting. 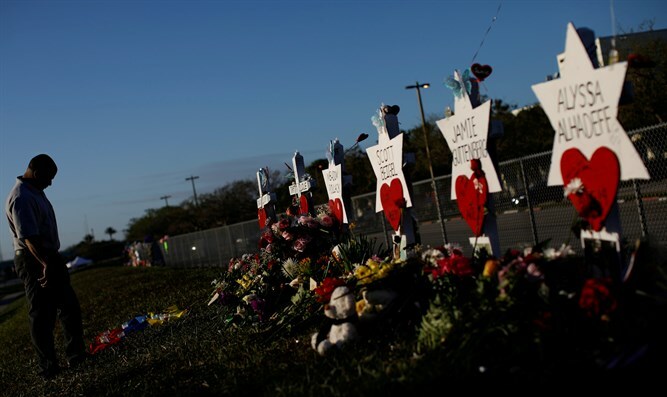 The heads of 139 Jewish day schools have signed an open letter urging action following last month’s deadly shooting at a Florida high school. The letter released Tuesday expresses support for the student movement calling for gun reform and seeks political change. Prizmah, a group representing over 300 Jewish day schools, organized the letter. The schools that signed on are from the United States and Canada, and represent various denominations and affiliations. They include those with students from early childhood through high school. Schools approached Prizmah with the idea to write a letter, the group’s CEO, Paul Bernstein, told JTA. The letter was written by a group of heads of schools, led by Adam Shapiro of Golda Och Academy in West Orange, New Jersey. “It’s clear that as a day school community we needed to make a statement as well that represented all of us, much like many of our independent school associations have done over this last week or so. We felt it really important that the Jewish day schools stepped forward as well,” Shapiro told JTA. The letter is not taking a position on whether schools should support student walkouts planned nationwide for later this month and in April, according to Bernstein. “Some schools will get behind the walkout, some schools will look the other way to express what they think is important, but at the end of the day everyone is standing for the same thing, which is we need to protect our students and the professionals that work in schools,” Bernstein said. Bernstein said the issue of school safety has a special resonance in the Jewish community.